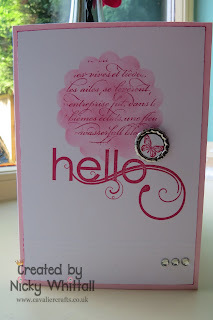 For those of you that don't know, Stampin Up is all about building a team of like minded crafters who just love anything to do with Stampin Up! I am very lucky to be a member of a larger team called the 'Pinkies', but am extremely fortunate to have a lovely little team of my own, which is made up of 7 lovely ladies who all love to craft!! I really hope you like my little gift? 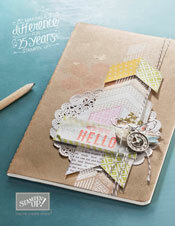 If you would like to be a Stampin' Up! Demonstrator like myself and the other ladies in my team, why not get in touch with me today. If you sign up before 30th May 2013, you qualify for an extra £25's worth of goods in your Starter Kit, that means you pay £99 and get £155's worth of goodies!! !